Most people aren’t aware of just how many contaminants there are in the gas that they pump into their vehicles. And let’s face it, if you are on a budget, you aren’t exactly choosing the most expensive option. What this means for you, then, is that there are a number of unnecessary particles swirling around in your fuel system. With time, this debris can begin to accumulate and clog up the fuel system in your car, causing it to lose efficiency. This means that you are at risk of a variety of car problems or, at the very least, are going to find that your fuel consumption increases drastically. Either way, this is not an issue that you want to be saddled with. Fortunately, there is a solution. Fuel system cleaners are the line of defense that you need for a smooth functioning vehicle. While there are products available, one of your trickiest tasks will involve finding the best fuel system cleaners on the market. See, despite the variety, not all of these products are created equal. In case you are confused about how to go about your search, this article contains all the resources and information that you require to make it easier for you. Before we reveal what our top picks are, you should first be aware of the criteria that we looked at. It is these features that helped us separate the good from the mediocre. Type of Vehicle: Here, we looked at whether the fuel system cleaner was a good fit for a myriad of vehicle types and could be used with practically every make and model. Type of Engine: We also considered whether the product was good for gas engines, diesel engines, or both. Improved fuel economy: Since fuel system cleaners are supposed to help your system function more smoothly and require less fuel, we looked at whether the product actually improved fuel economy. Value for Money: Last but not least, we look at how many gallons a particular amount of cleaner was capable of treating. 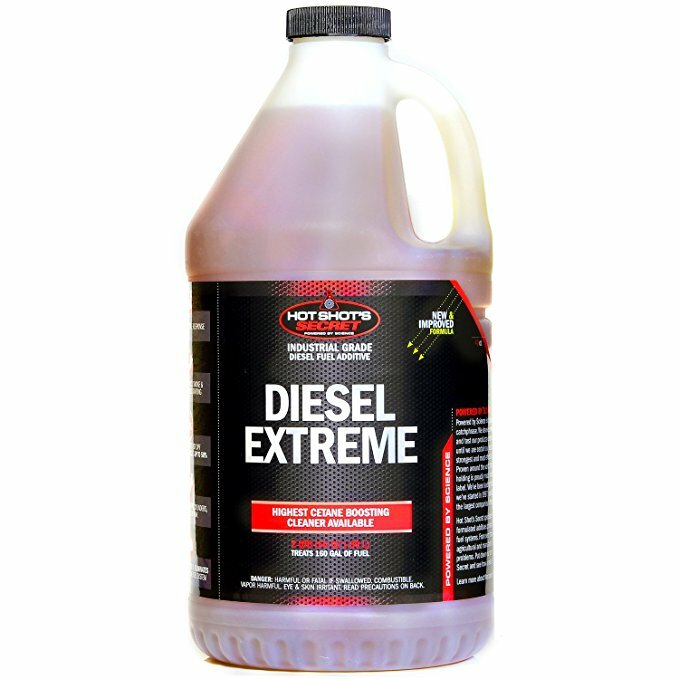 Why we like it: The Hot Shot’s Secret Diesel Extreme Clean and Boost offers up great value for money while keeping the internal system in your vehicle running smoothly. 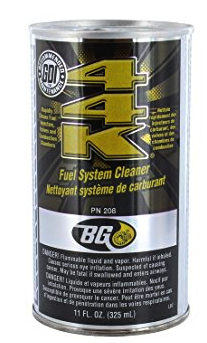 It can be difficult to find a good fuel system cleaner for diesel engines but this is exactly what this product is. One of the advantages with this cleaner is that it targets all the important parts of the internal system. This includes tanks, the lines, and the fuel injector. This way, you can be certain that everything will be running smoothly. The other thing that this cleaner does is remove free water from the inner workings of the vehicle. This, in turn, works to protect the fuel injectors in the future. The only minor flaw is that the design of the bottle can make it difficult to use. 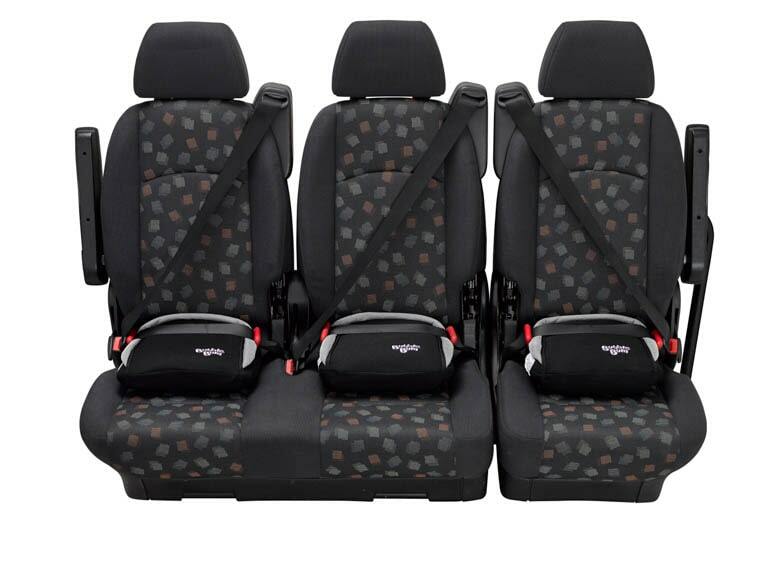 So, how does this product help to improve the overall functioning of the vehicle? Well, since the cleaner also contains a cetane booster, you get improved combustibility. As a result, you get to enjoy a greatly improved driving performance as well. The higher cetane content also works to improve the fuel economy of the vehicle. So, you can count on having to fill up less, even if you are driving more. Last but not least, this cleaner also provides your vehicle with plenty of preventative treatments. This includes lubricating and coating the tank, lines, fuel pump, and the injectors with corrosion inhibitors. All of this adds up to less maintenance in the long run. One thing that you certainly can’t deny about this fuel system cleaner is that you get plenty of value. It is affordable and you get a considerable amount for the price. To top it all off, this one bottle should be more than enough to treat up to 150 gallons of fuel. This means that you can get a lot of use out of it. Why we like it: The Chevron Techron Concentrate Plus works especially well with old vehicles, cleaning them out so that they are able to run better. The most notable thing about this cleaner is that it contains an impressive amount of PEA. This is a substance that has been proven to get rid of deposits that coat your fuel system. In fact, this product is particularly good at getting rid of hard-to-remove contaminants, like the ones that have built up in older models. The other advantage is that this cleaner targets every aspect of your fuel system. So, you can be sure that your fuel injectors, carburetors, intake valves, and combustion chambers are all cleaned up, no matter how rough they may seem. The great thing about using this product in your vehicle is that you get noticeable results. For instance, you will instantly be able to see an improvement in your cold starts, allowing you to get moving faster, especially in cold weather. Since there will be no more deposits, you will be able to experience better fuel economy and stability over a long period of time. If you are trying to get a vehicle that has been in storage for a long time to start up quickly and to run smoothly, then you should give this product a try. You will see that even if the car hasn’t been driven in a long time, it will not miss a step when you finally take it out. The only thing that is really lacking with this fuel system cleaner is value. This is because, for the amount that is available in the bottle, you should be able to treat about 20 gallons. While this might work for smaller or newer vehicles, it can end up getting a little pricey for you. Why we like it: The Lucas Oil 10512 Deep Clean thoroughly purifies the entire system, ensuring that all the major and minor components are cleaned out. What makes this Lucas Oil cleaner stand out is that it does exactly what it claims – it deep cleans. 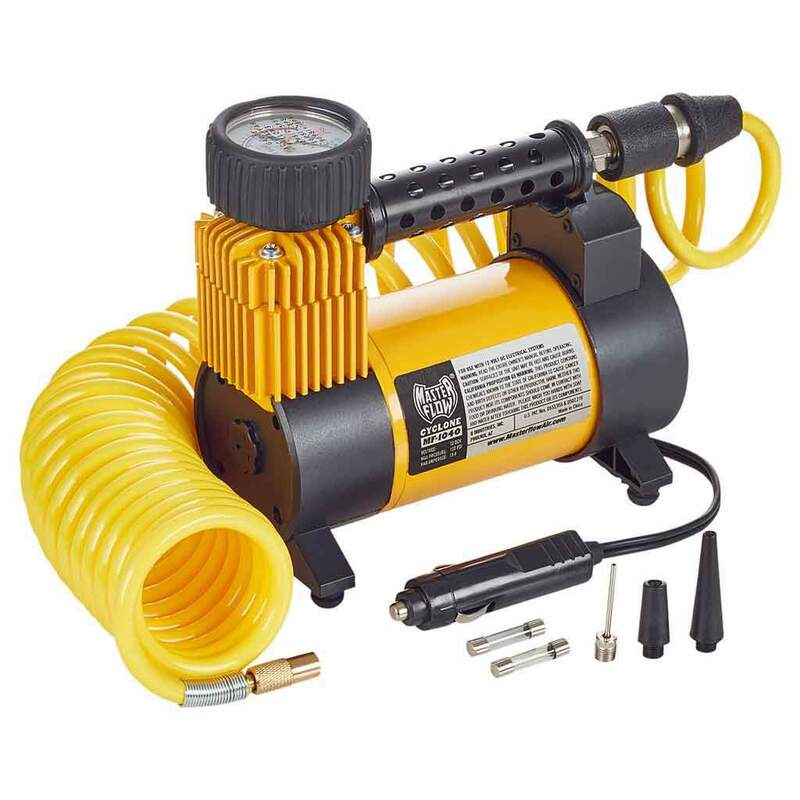 This product targets the injectors, intake ports, piston tops, cylinder heads, intake valves, and combustion chamber. It will thoroughly remove all the debris and build-up present in any of these areas. In fact, this deep clean product actually allows you to get away with using a cheaper gasoline. This is because it takes care of engine knock that is caused by using fuel that has a too-low octane content. The only real downside is that it can take a little while for the effects of this cleaner to manifest. One of the main benefits of using this fuel system cleaner is that you will be able to considerably reduce your nitrous oxide emissions. At the same time, you will also be able to notice just how much more smoothly your vehicle drives. There will be no smoke, smells, or any noises erupting from the system. Since this cleaner focuses on a number of different parts of the internal system, it means that there are no blockages or deposits anywhere. As a result, your car gets to work beautifully without requiring as much fuel as before. This allows you to save some money. The Lucas Oil fuel system cleaner actually offers up a decent amount of value. This is because, for a 16-ounce bottle, you can actually expect to treat up to 30 gallons. While this isn’t spectacular, it does mean that you are able to get quite a bit out of this cleaner. Why we like it: The BG 44K fuel system cleaner is incredibly effective at getting rid of contaminants and build-up in your internal system. The BG 44K is especially good at removing deposits and build-ups that are ruining your internal system. It works particularly well in the upper engine, cleaning it out thoroughly and eliminating a lot of the issues that tend to arise with a build-up in this region. Of course, this cleaner is just as effective for the rest of the system. You can be quite sure that your intake valves, ports, fuel injectors, and combustion chambers will be cleared out. You will find that if you tend to use an ethanol-gasoline mix with your car you will have to deal with a lot more carbon deposits and water in your system. In this instance, the BG 4KK will be quite successful as it utilizes a variety of detergents to get the job done. The only frustrating aspect of this is the bottle design that makes it very difficult to pour the cleaner into the vehicle. One of the things that you will be able to appreciate about this fuel system cleaner is that it begins to work quickly. As a result, if you have to deal with any type of engine problems like engine surge, power loss, or stalling you will find that it gets sorted out quite soon. You should also be able to notice that you can drive for longer without needing to fill up as quickly. An additional bonus with this cleaner is that it actually contains conditioning components. This helps to lubricate all the important parts of your car, forming a protective layer. As a result, you get to prevent corrosion forming in these areas. As far as value goes, this cleaner isn’t too shabby. For every eleven ounce bottle, you are able to treat twenty gallons of fuel. Why we like it: The Redline 60103 Complete SI-1 is great for dealing with internal systems that may be seriously impacted due to heavy deposits and build-up. If your vehicle is just not performing as well as it should, there is a good chance there is a considerable amount of deposits and build-up in your internal system. Well, if you feel like no other treatment has really worked for you, then you should give the Red Line cleaner a try. See, this product is equipped with a high PEA content as well as other detergents. This makes it even more suitable for dislodging and removing even the heaviest of deposits in your system. As a matter of fact, you can expect your car to be running more smoothly after a single treatment. Another benefit that you get to experience with this cleaner is that there will be a decreased need for octane. It will not be long before you begin to see all the advantages afforded to you by this cleaner. For starters, if you have been experiencing a loss in horsepower, this will be improved soon enough. You will also find that you are able to drive more easily as the treatment will eliminate any hesitation or stalling that previously existed. On top of all this, you will also get to see that the fuel efficiency and stability of your car will be increased. You will be able to drive for a longer distance without having to refill the tank as much. Since this is a product that is safe for continuous use, you get to enjoy greater fuel efficiency for longer. Where this cleaner falls a bit short is the value for money. For one thing, it is certainly not cheap when you consider how much it can treat a certain quantity of gas. You should be able to treat about 20 liters for every 15 ounces. Why we like it: The Gumout 510014 Regane Complete cleaner is not only economical, it is also really great for deep cleaning your car’s internal system. One of the reasons that this cleaner is quite so effective is that it contains a good amount of PEA. This makes it adept at being able to dislodge and clean out even the toughest deposit and build-up in your vehicle. Not only does it get rid of the existing carbon build-up, it also cuts out the likelihood of future residue. This means that you don’t have to use as much later on. Now, this is a cleaner that targets all the important components of your internal system. This includes the intake valves and ports, fuel injectors, combustion chambers, piston tops, and cylinder heads. The only real flaw that you can point out with this cleaner is that the bottleneck isn’t suitable for all makes and models. You will be able to quickly notice that your driving performance has improved with this cleaner. For one thing, there will be an increase in horsepower with time. So, if you found that your vehicle was lagging before, it will now be able to go faster. There will also definitely be a great improvement in your fuel economy and you will not have to fill up as often. An impressive perk with this cleaner is the fact that it contains conditioning ingredients. As a result, it is able to coat the internal system, including the upper portion of the engine with lubricant. There will be less chance of corrosion and less maintenance required. If you don’t want to spend too much money on your fuel system cleaner, then this is a good product for you. It is cheap and at six ounces, you will be able to treat about 21 gallons at a time. Why we like it: The Royal Purple Max-Clean Fuel System Cleaner and Stabilizer is great at cleaning both diesel and gas engine vehicles. One of the things that really makes this cleaner stand out is that it works on both gas and diesel engines equally well. In both cases, it is able to effectively remove the debris from the internal systems of the cars quickly and efficiently. This is a good cleaner to turn to if you have been using fuel that doesn’t have the highest quality and you are experiencing the repercussions of this. Another interesting aspect of this fuel system cleaner is that it also doubles as a stabilizer. So, if your vehicle is going to be idle for a while, this is a good product to add to the fuel. It will ensure that there are no problems when you start driving it again. You are certainly going to be able to see an improvement in your vehicle’s performance. It has been found that this cleaner is able to increase your horsepower up to about 2.6 percent. So, not only will you be able to drive more smoothly, you will also be able to experience an increase in power and speed. Just as useful is the fact that you will find your car isn’t using up as much fuel as it did before. This is because this product has the ability to improve fuel efficiency up to 3.2 percent. This can make all the difference if you tend to drive a lot. The unfortunate thing, however, is that many of these changes are temporary. You need to use this product quite often to be able to see continuous results. On a similar note, the value with this cleaner isn’t great. This is because a 12-ounce bottle will be able to treat only about 20 gallons. Why we like it: The STP Ultra 5-in-1 Fuel System Cleaner and Fuel Stabilizer works well with modern engines, cleaning them and ensuring future protection as well. If you aren’t using fuel that is all that great for your vehicle, then you should definitely consider utilizing this cleaner. This is because it offers up a deep cleaning action that is sure to get rid of whatever deposits that may have built up on the surfaces of your internal system. However, in certain extreme cases such as with older models, this product may not be powerful enough. The other great thing about this cleaner is that it is incredibly versatile. It works with most modern engines on the road today. This includes hybrid, turbocharged, or direct inject models. To top it all off, it works with capless gas systems as well. If you feel like your vehicle has not been performing as well as it used to, you will be happy to know that this cleaner should be able to change that. By thoroughly cleaning out the internal components, this cleaner will be able to improve your vehicle’s horsepower. This, in turn, will allow you to harness more power and go faster. At the same time, this system cleaner can also greatly increase your fuel efficiency. Since the internal system is able to work more smoothly without any obstruction, you will be able to travel for greater distances, without actually using up as much fuel as you did before. It also lubricates and conditions the various components so that you can prevent future build-up and corrosion. You will also find that this cleaner offers up great value for money. This is because 12 ounces of this product is able to treat up to 35 gallons of fuel. Why we like it: The Berryman 2616 B-12 Chemtool Total is able to properly clean out and lubricate the various internal components of your vehicle’s system. The Berryman cleaner works well on internal systems that are experiencing all kinds of build-up. So, whether you are dealing with fuel residue or carbon deposits, this product will definitely do the trick. It actually works so well at breaking down the various deposits that it can increase the lifespan of your fuel injectors with continuous use. This product is also very useful if there is any moisture or water in the internal system. It will help to disperse it and ensure that the engine and all the other components are able to continue working as usual. However, you will probably have to wait a while or even use more than one treatment to be able to see the results of this cleaner. Once you start using this system cleaner, you will be able to see that your vehicle just drives better. For one thing, it will start up better, particularly with cold starts. You will also see that harmful gas and smoke emissions will greatly reduce. So, if you are looking to make your vehicle just a little more environmentally friendly, this is the cleaner to turn to. Another perk that you will notice is that you will find that a loss in power will be overturned, leading to greater power and speed. Also, there will certainly be better gas mileage as well, meaning that you will be able to drive for longer without having to top up as much. One of the ways this cleaner falls a bit short is in terms of value. 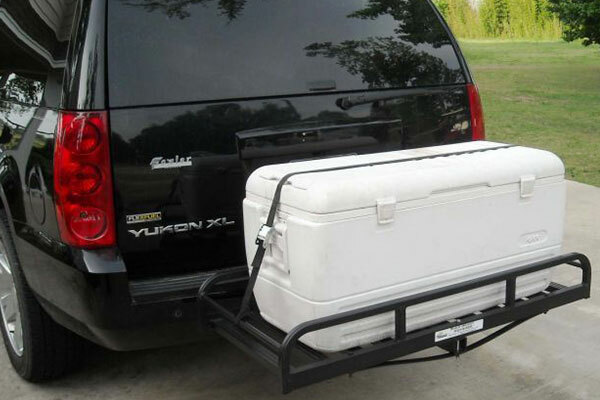 With a 15-ounce bottle, you are only really able to treat about 21 gallons of fuel. This could get expensive if you want to continue using this cleaner. 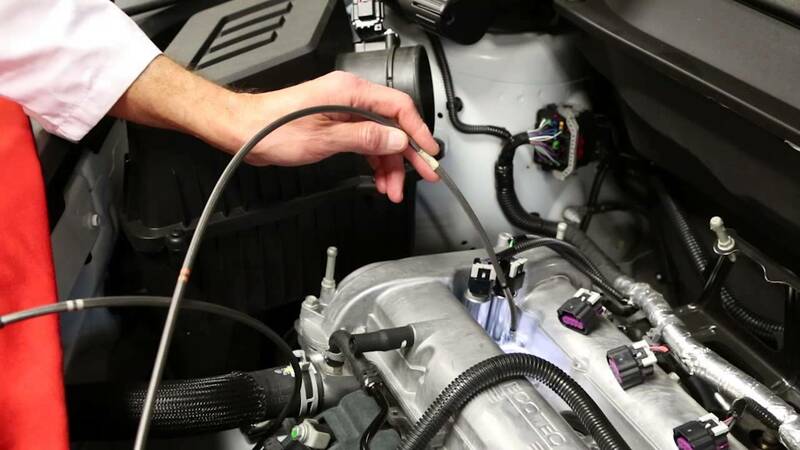 Why we like it: The ACDelco Fuel System Treatment is incredibly effective at removing build-ups and deposits from all over the internal system of your car. There is no denying that this fuel system treatment is incredibly effective. This is because it targets all the important components of your internal system. This includes the fuel injectors, intake valves, and combustion chambers. It thoroughly cleans out these areas, making certain that no deposits remain, clogging up the system. The cleaner is so good at what it does that it can even be used to treat older vehicles. It will be able to work on long-standing deposits and break them down so that the various valves and injectors are clear, allowing the fuel to pass through freely, without interference. You will be able to see that the performance of your car will also be improved by using this cleaner. Since the intake valves will be all cleared up, you will notice that your vehicle is able to start up with no issues at all, even if it has been idle for quite a while. There will also be an increase in power and speed, allowing you to get a lot more out of your car. In general, it will be a great deal more comfortable to drive your car around. The one thing that we didn’t really notice with this product was too much of an improvement in fuel efficiency. Of course, we did use the bare minimum so with a little bit more input, you may be able to see better results. This fuel system cleaner doesn’t offer up the greatest value, particularly at this price point. One ounce of this 12-ounce bottle is enough to treat a single gallon. Now, since you may need a lot more to be able to experience fuel efficiency, this cleaner may be a bit pricey for most people. Now, one of the things that you need to know is that carbon build-up and other types of deposits in your internal system can affect a number of components in the car. This is why you may have come across a product known as a fuel injector cleaner during your search for an appropriate product. While some people may tend to use the terms ‘fuel system cleaners’ and ‘fuel injector cleaners’ interchangeably, there are some differences. The main variation that you need to focus on, though, is the function. See, fuel injector cleaners focus largely on the injectors in your vehicle. A fuel system cleaner, on the other hand, is involved in cleaning out the fuel injectors, carburetors, portions of the engines, pistons, and more. So, as a result, you can get a more widespread cleaning. Before going any further, you should be aware of the ingredients that are used in these cleaners and which ones you need. In most fuel injector cleaners and fuel system cleaners, you will come across the term polyisobutene or polyisobutylene amine. These components are more commonly referred to as PIB or PIBA. While they have similar functions, their cleaning power is what’s different. See, PIB is more suitable for prevention of build-up. In fact, one of its main features is the removal of the water in the internal system of your car. So, if you have only recently changed to a cheaper fuel or you have a new car and want to maintain it well, then PIB will be useful for you. Where this cleaner falls short is with deposits that already exist. In this instance, the PIB is not powerful enough to remove this type of build-up. The ingredient PIBA, though, is well-suited to such situations. It tends to be more potent than PIB which is why it is often used to tackle moderate levels of deposits in the internal system. It is also quite useful to clean a greater number of parts. Furthermore, if this ingredient is used properly, you shouldn’t have to use a cleaner all that often. Now, there are some vehicles that have been running for years on cheap gas or just have simply been contending with large, difficult-to-remove deposits. In these cases, you can actually notice that the performance and efficiency of the car have been greatly reduced. Here, you are going to need to turn to what is known as polyetheramine or PEA. This is the strongest cleaner of them all and is also capable of cleaning a greater number of components within the system. All of this combined makes it one of the best cleaner ingredients that you can find. So, if your vehicle is in a really bad state, this is what you will need. Of course, when looking at the label on a bottle, you can’t just buy a product because it claims to contain PEA. You also need to look at the percentage of PEA in that cleaner. The worse shape that your car is in, the more PEA that you will require. This does depend on how badly your internal system is doing. If you hear knocking and pinging sounds or are experiencing serious problems, you will require a bit more cleaning power. These products are also often a good choice for older vehicles that haven’t been well maintained. Here, it may be beneficial to you to look for cleaners that contain the label ‘Deep Clean’. These are often equipped with stronger detergents and cleaning agents that can deal with deposits that are not easily dislodged. This may not be required, however, for simple maintenance. You should always look for products that will improve your fuel efficiency. Now, in most instances, this is an automatic symptom of an internal system that has been cleaned up. Once all of the build-ups have been removed, you should be able to drive for longer on the same amount of fuel. Still, products that specifically mention improved fuel efficiency can often be considered an overall system cleaner rather than just focusing on a few components. In that sense, they tend to be a much better cleaning agent. Now, it isn’t enough for you to just get rid of the deposits in the internal system. You also need to make sure that it will be a long while before they form again. One of the ways that you can do this is by looking for a product that conditions or lubricates the surface of the internal components. This way, the carbon build-up will find it difficult to adhere to the surface. The other benefit of such a feature is that you get to protect the various components from corrosion as well. Each cleaning product will let you know how much of the bottle you have to use to be able to treat a certain amount of fuel. If you have a small vehicle or you just want a cleaner for maintenance purposes, this may not be such a big deal. However, if you have a turbocharged or supercharged vehicle, you are going to need to pay attention to this. Value for money means that you will be able to use a less amount of the product for a greater number of gallons. This is why you should look for concentrated versions that can be used in smaller doses if you are driving a large gas guzzler. While this may seem like an odd thing to consider, it is a good idea to take a close look at the shape and design of the container. After all, you will need to find a way to use the bottle to place the cleaner in the tank. Now, these cleaning agents are quite potent so they shouldn’t be spilled on the ground, the exterior of the car, or on you. Therefore, it is important that you easily and directly introduce the system cleaner into the tank. This concludes all you need to know about fuel system cleaners and how to choose the best one.